Excellent clean condition River Island Size 8 Leather Look Black Skinny Jeans. Condition is Used. River Island Black Leather Look Jeans Size 10. Super comfy with some stretch/give. Condition is Used. There are a few signs of wear shown in photos, nothing major. Dispatched with Royal Mail 2nd Class. 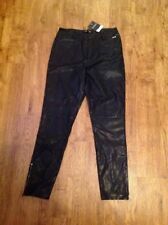 River Island Wet Look Effect Leather Style Jegging. Condition is Used (worn 3 times). Size 12. Would fit a 10 also. Very stretchy. Dispatched with Royal Mail 1st Class. River Island Black Leather Look Jeans, Size 12. Dispatched with Royal Mail 2nd class. New without tags, never worn. 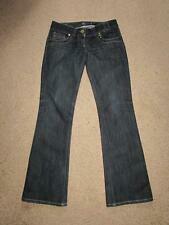 Ladies River Island Skinny Jeans size 10. Mid Blue with faux leather panels. Skinny style. 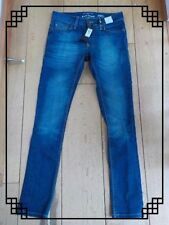 Ladies River Island Jeans size 10. Mid Blue with faux leather panels at the front. Sellong a pair of River Island, leather look style jogpurs, size 10R. I have only wore these twice and they are like new. Smoke and pet free home. Any questions please contact me. Stunning River Island wax coated, leather look jeans from the 'Follow your dreams' range. Slim, skinny biker style jeans with 5 pockets and 4 zipped fake pockets to the front. Immaculate condition. Look amazing on. Thanks for looking. UK 8 River Island Black Leather Panel Skinny Jeans. Good condition. Dispatched with Royal Mail 2nd Class. Leather Look Jeans. Dispatched with eBay delivery – Shutl 2-3 days. River Island Grey Leather Look Mollie Jeggings Size 6 Regular. The back of jeggings on one leg has some small dark watermarks, it also has some clicks to the fabric. Item comes from a pet and smoke free home. Barely worn so in excellent condition. Low waisted and slim fitting with leather band around waist - seen in picture. Reason for selling: moving house so clearing out the wardrobe. This is a gorgeous pair of jeans fromRiver Island. coated, leather look. black wash. 1x button and zip fastening. Four pockets. River Island . JEANS OVERVIEW. 98% cotton 2% elastane. Ladies High Waist Leather Look Super Skinny Jegging Womens Jean Legging Ex R.I.
River Island Skinny, Shiny, Brown Jeans. Leather Look. S8R L30" double zip. Condition is Used. 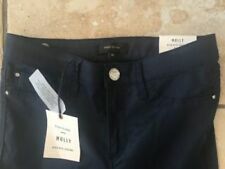 River Island Bootcut Jeans mid Blue. Mid Cut Mid Rise Leather Trim S14 L31" new. River Island light grey/stone coloured Leather Look Jeans, Size 8. Condition is Used. Dispatched with Royal Mail 2nd Class. New listingLADIES LEATHER JEANS - RIVER ISLAND - DARK BROWN - SMALL. River Island dark brown ladies leather jeans size small. River Island Leather rose Detail Jeans Black Size SX black size 6. Lovely .New condition. I can't fit in it . Looks great and a very unique design .Cost 50 . Womens River Island Black Leather Look Jeans Size 6. Condition is Used. Dispatched with Royal Mail 1st Class.